As Day #2 of my 14-day campaign to understand Pinterest waned, I knew I had to put aside real work so I could keep to my plan. So, off to Pinterest I clicked. Unless there’s some configuration option I don’t know about, what you see on your Home Feed at Pinterest are pins of the people you follow. 21 of the 24 people I’m following are women. 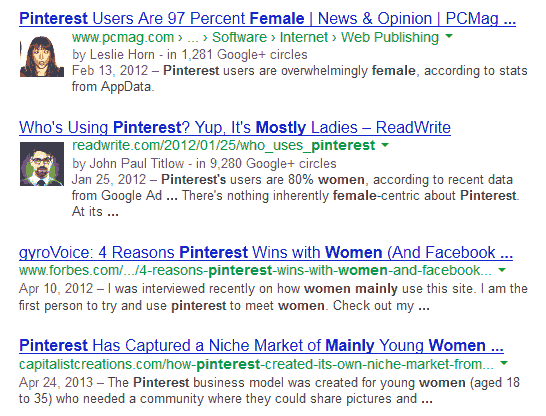 This isn’t surprising, insofar as all the analyses I’ve read say that Pinterest users are predominantly female. The three men I follow have a total of 2 pins. Way to go, guys. So my Home Feed pretty much consists of food and fashion. Since I do Web design and development, I entered “web development” in the search box. The results were dominated by “glamour shots” of employees of a Chicago firm called DevBridge (“It’s number 3; yes, I’m sure of it. May I leave now?”) and witty infographics stereotyping and juxtaposing Designers and Developers. I was expecting to find portfolio samples, but didn’t find many. But aha! “web design portfolio” yielded those. 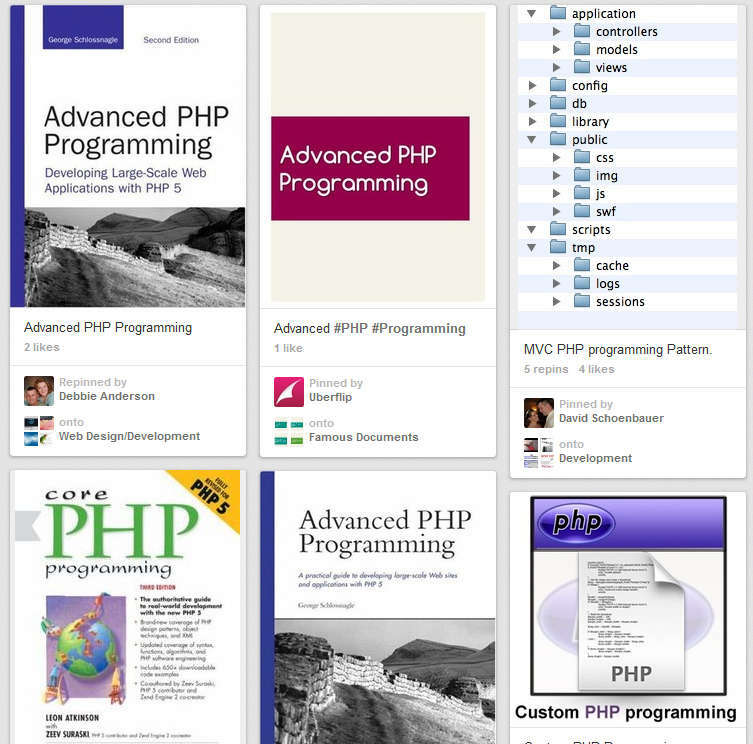 Searching for “php programming” yielded photos of covers of most of the php books that are either in my library or amazon.com wish list. I was hoping to find a “Surprise me” or “Staff Picks” choice. There is a “Popular” link. But when I clicked it, I couldn’t figure out how Pinterest determines what’s popular (see the numbers in the screen shot to the left). I’m sure the answer can be found in the Help Center. But (a) I’ve already gone past my allotted 24 minutes, so I don’t want to spend time in the Help Center; and (b) I tried going to the Help Center but was directed to my Home Feed. 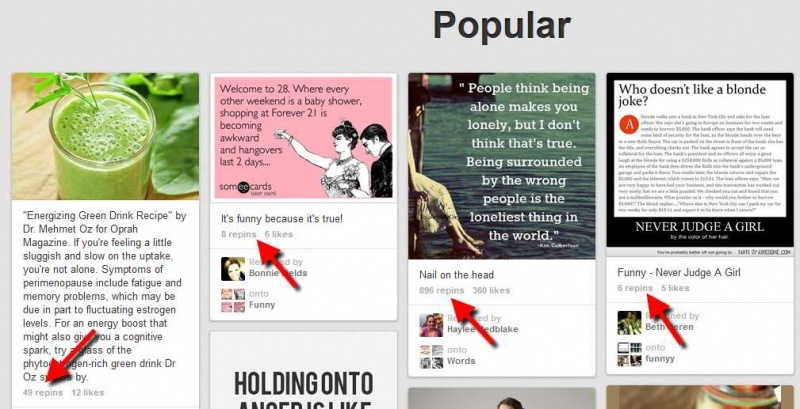 24 minutes a day isn’t much time to allocate to Pinterest surfing. Yeah, Pinterest is for women and about products. I can see how it can help businesses that sell products women buy. 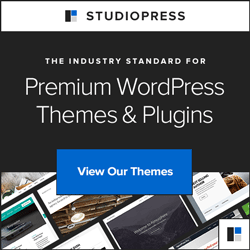 But I’m still not seeing how it can work for B2B or B2C, especially where the business is a consulting service not involved in food or fashion. I don’t know how Kate Awsumb can love food as much as she obviously does and still be a skinny as a rail. 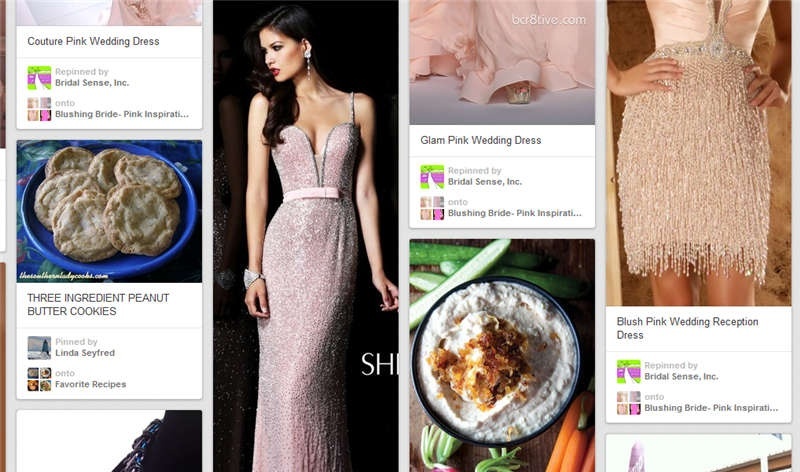 I too have wondered what benefit there is in Pinterest. I look forward to see what you find out. It’s a tough job but someone has to do it! And by the way, let me take this opportunity to say that if somehow my Pinterest search history is publicly accessible, it should be understood by all that I am doing a research project.